New privacy setting called “Instant Personalization” has been added recently on Facebook to give you a social and personalized experience on all the non-Facebook partner websites as soon as you arrive on them. The partner sites are Bing, Clicker, Docs, Pandora, Rotten Tomatoes, Scribd, TripAdvisor and Yelp. This privacy setting which is automatically set to “Enable” helps you to see your friends’ reviews about your favorite movies, hear your favorite songs automatically on partnered music sites, and access/share the public data that you’ve already made available to everyone with your friends on those sites. But If you’re unwilling to seamlessly integrate your Facebook public information across those partner sites then you’ll have to turn off instant personalization on all partner sites. 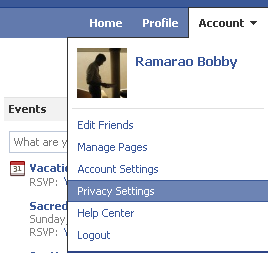 Click ‘Edit your settings’ under Apps and Websites privacy setting and go to Instant Personalization ► Edit Settings. That’s it!! You’ve successfully turned-off Instant Personalization setting on your Facebook account which completely prevents any of your information to be shared on non-Facebook partner sites.